“The intriguing, and more intimate, WITNESS TREE: Seasons of Change With a Century-Old Oak (Bloomsbury, $27), by Lynda V. Mapes, portrays trees as “scribes, diarists, historians.” They are “among our oldest journalists.” A reporter herself, covering environmental issues for The Seattle Times, Mapes sets out to tell the story of climate change through one tree. But that is, marvelously, the least of it. Mapes is a graceful writer. She describes “the quiet finesse” of a tree; “the fructifying funk” at the base of an oak; the “wand of time” that is a core sample drilled out to ascertain age; the “choring and the weariness” in the diary of a 19th-century farmer’s wife; a spider that has “rappelled gracefully” off her glasses. She is spending so much time with her tree that it’s becoming a part of her; she sheds it only when she goes indoors at night. Delighted to see the book get this national recognition for the second time, the book review also gave Witness Tree a lovely mention in the spring books guide. 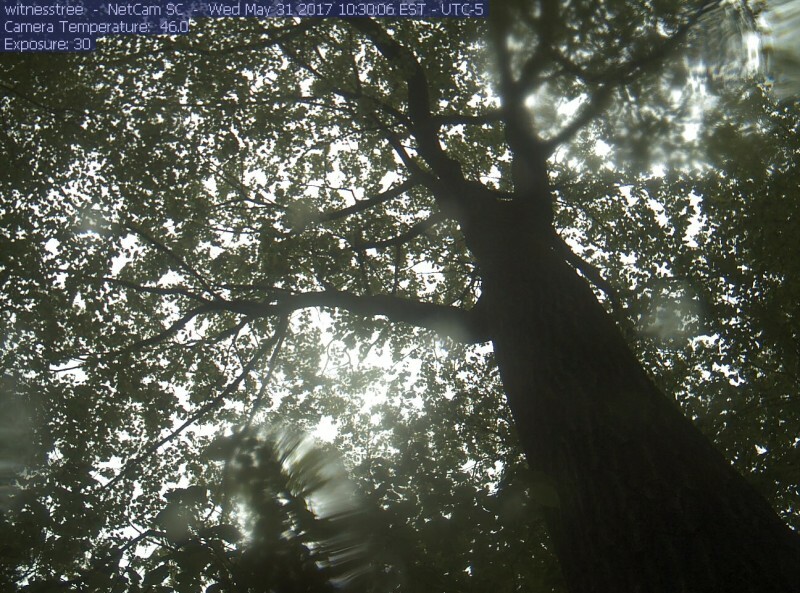 The Witness Tree, captured on the Harvard Forest web cam at its feet this morning, May 31. Notice the rain drops on the camera cover. The tree is now in its glorious green gown of leaves, ready to work for another season.